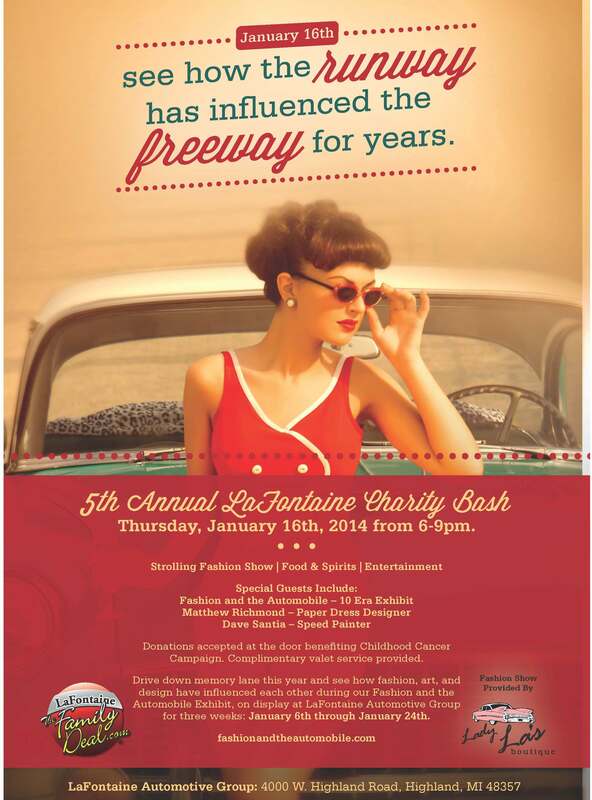 Pick out your finest threads and prepare for a night of beauty and elegance as Fashion and Cars merge once again on Thursday, January 16th, 2014 during the 5th Annual LaFontaine Charity Bash. This is your chance to participate in a strolling fashion show and enjoy refreshments and entertainment all while taking in the Fashion and the Automobile Exhibit – a touring exhibit that highlights the many changes wrought on popular culture by the evolution of the car. 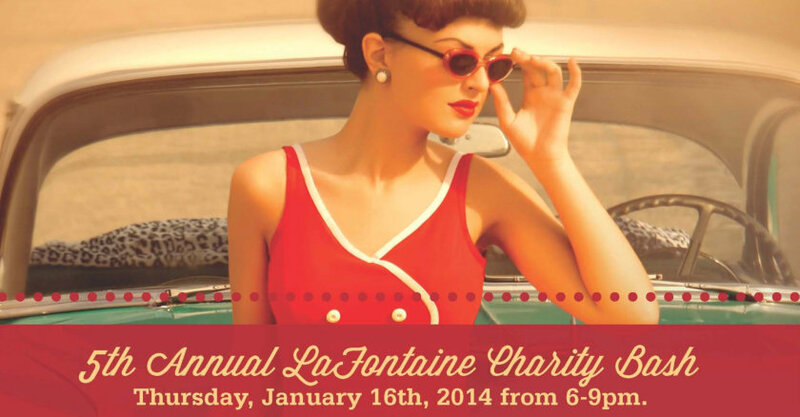 The 5th Annual LaFontaine Charity Bash is being held at LaFontaine Cadillac Buick GMC located in Highland, MI and is presented by Lady La’s Boutique. 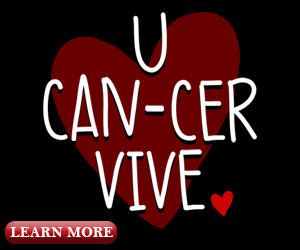 While the event itself is free, we do ask that you leave a donation upon your arrival to help us support our Childhood Cancer Campaign. 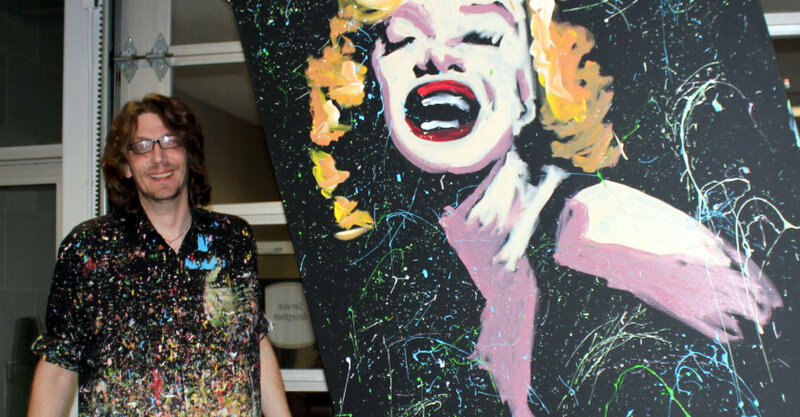 Special guests include Speed Painter, Dave Santia and Paper Dress Designer, Matthew Richmond. Taking place the night before the North American International Auto Show Charity Preview, this is your chance to come out in style and appreciate all that fashion and cars have to offer. Do you plan on attending? RSVP today on our official Facebook Event Page!